Content marketing has a problem that not enough people are talking about: How do I accurately measure the true value of the content I create? Content performance metrics are still being measured in the form of opens, clicks, pageviews, and shares. Thus, content marketers are getting better at leveraging a common formula: clickable headlines + paid distribution = numbers that look like success. Unfortunately, that success is often an illusion. The real value generated from such metrics for a given content program could actually be zero, because audience engagement and loyalty may be limited to just that one campaign. The harder it is for content marketers to prove that their content results directly tie into a company’s overall financial success, the harder it is for them to ask for more money to produce better content and truly engage audiences over time. This is a huge mistake and a disservice to the marketing profession. At companies that are attempting to link content more directly to shareholder KPIs, content marketers are quickly evolving into hybrid creatures: half editors, half data scientists. To succeed, these chimeras need a formula that goes one step further than attention time. The formula needs to consider the lifetime value of each audience member, and, more importantly, how to maximize that value from the best audience segments. In layman’s terms, this formula addresses the primary ROI measurement needs of direct marketers and brand marketers: revenue attribution and brand lift. The first part of the equation focuses on revenue attribution. Revenue attribution consists of the hard dollar returns that companies gain from short-term campaigns (i.e., successful conversions from offers, discounts, downloadable assets, form fills). With the help of marketing technology, these returns are much easier to measure. However, there is a content production cost involved: the cost of the people required to make the assets and the cost of distributing those assets to their respective target audiences. When you subtract the production costs from the revenue earned, you get the first part of the formula, which is the net revenue earned in dollar terms. The second part of the equation focuses on brand lift. Brand lift consist of the soft dollar returns, which are harder to measure but arguably just as important as hard dollar returns. These returns may never yield direct revenue, but positive brand perception earned can yield network effects that correlate to a dollar value as well. There are many documented ways to calculate brand lift, but the most important currency, in my opinion, is how much attention a brand can earn from an audience member—measured by the engaged time they spend with your brand’s content on their own accord. Next, we can place a value on that time by calculating how much it would cost to “rent” that audience’s time through traditional and digital marketing channels. When you multiply the attention time your target audience is spending with your content by the fair market value of renting that audience (often with paid distribution metrics such as impressions and CPCs), then you have a soft dollar value for the brand lift you’re generating. By combining the hard dollar return with a soft dollar return on content over time, you can optimize your marketing budget much more effectively. We believe that earning an audience and generating revenue organically is much better than relying primarily on paid media efforts to boost your marketing ROI. It’s by no means a finished theorem, as solving the problem of true content value over time is incredibly hard and unique to each business model. But over the next few months, we will be working with the best minds in the marketing and data worlds to test and adapt this formula. If you have any thoughts, opinions, or insights, I hope you’ll let us know. To learn more about ROCI download The Ultimate Content Strategist Playbook No. 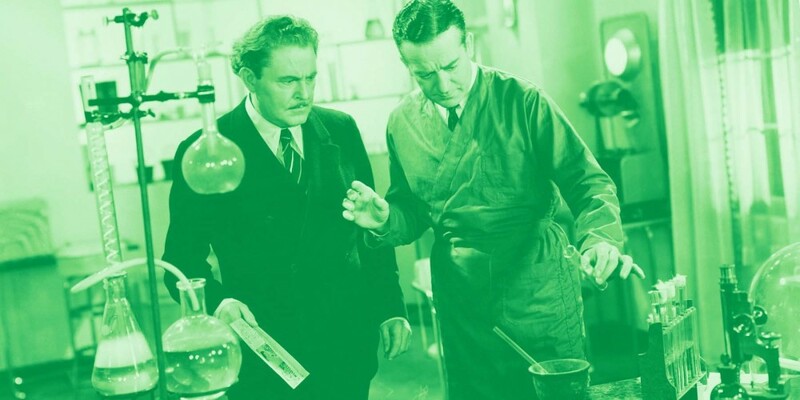 5: Measuring and Optimizing Your Content Marketing http://contnt.ly/Playbook5B2C.